Chaired by Pope Tawadros II, the Council held its sixth meeting since it was founded in 2013. Its goals include interfaith dialogue and greater Christian presence in politics and society. The fight against terrorism and constructive dialogue have had a positive feedback in terms of tolerance. 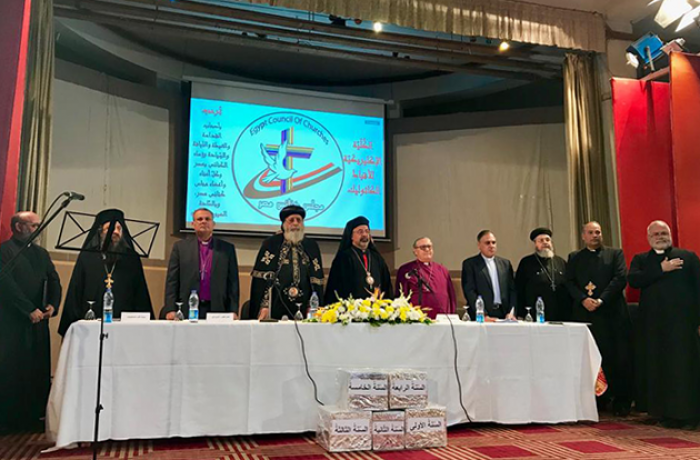 Cairo (AsiaNews) – The Council of Churches of Egypt held a meeting marking the sixth anniversary of its founding. For Fr Rafic Greiche, spokesman for the Egyptian Catholic Church, it was an "important" and "positive" event for Christians and their Churches, boosting "their unity of purpose in pastoral outreach" and interaction "with the Muslim majority and the government", underscoring the need to "speak and act with one voice". "Of course, six years are a still short period of time to gain experience and relevance,” Fr Rafic told AsiaNews; “however, the path undertaken is positive and, calmly, results will follow." Last Saturday, the Council of Churches held its annual conference on the theme "that all be one". Pope Tawadros II chaired the meeting, which saw the presence of the Coptic Catholic Patriarch Ibrahim Isaac, the leader of the evangelical community Rev Andrea Zaki, Episcopal Church President Archbishop Mounir Hanna, and Greek Orthodox Patriarch Theodoros II, as well as delegates and dignitaries of their respective Churches. The Council, which met for the first time on 18 February 2013, seeks to foster interfaith dialogue and promote a single Christian voice on the most important political and social issues whilst safeguarding each member’s independence. In the closing statement, which was sent to AsiaNews for wider circulation, Christian leaders expressed their appreciation for President al-Sisi's efforts to uphold the principles of "equality, citizenship and coexistence". The inauguration of a new mosque and of the Cathedral of the Nativity were part of this. Christian leaders praised the government’s efforts against terrorism and its law enforcement action as well as economic and social policies. 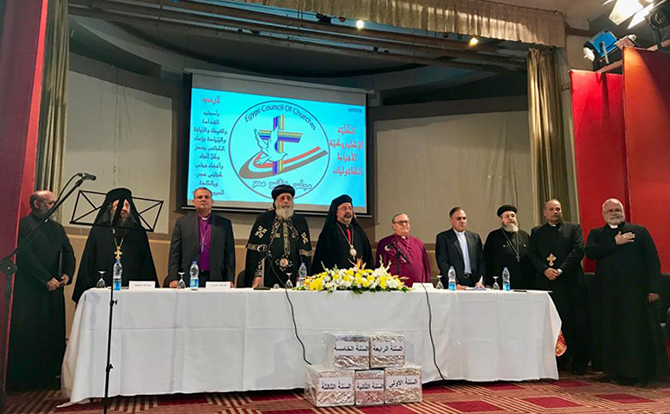 The Council, which backs social peace and constructive dialogue between people within a framework of tolerance, also urged Christians to actively participate with their Muslim brothers in building a modern state. It goes on to say that it will “continue to fulfill its mission in cooperation with Churches" and "spread the spirit of tolerance, love and unity". At the same time, it plans to "contribute to the growth and progress of Egyptian society and prepare new generations to serve their Church and the country." Between 2016 and 2017, it saw a wave of bloody attacks, with the Christian community itself targeted. Given the situation, the authorities tighten security around places of worship at holidays. But during the last Coptic Christmas, an imam thwarted an attack against Christians in an eastern suburb of Cairo.